Nature is multidimensional and if you don’t believe this, go to Skardu. You can enjoy the desert, the crystal clear water streams, lakes and roaring rivers, snow capped mountains and the forests. Besides, Skardu valley has a historical dimension too. 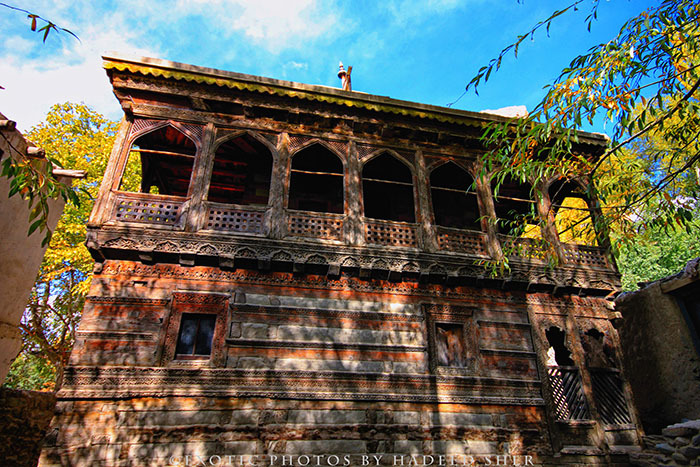 Not only the famous Khaplu palace, the Shigar Fort and of course the historic PTDC K2 motel which has been hosting the expeditions teams since decades, Skardu is also the origin of two of the oldest mosques of subcontinent. One of these is in Shigar Valley and the other in Khaplu. 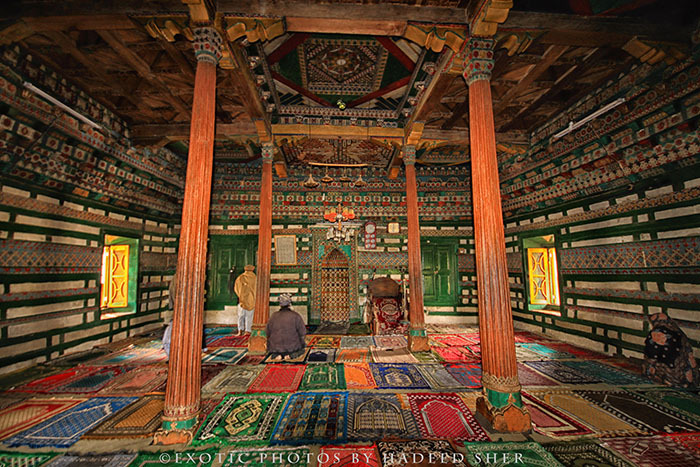 The mosque in Shigar Valley is known as Khilangrong. 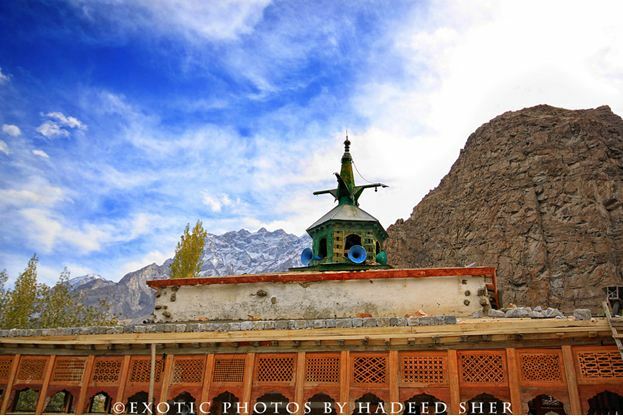 The mosque in Shigar Valley is believed to have sustained the rough times and weathers for more than four centuries but just like most of the historical sites in Pakistan, its condition is miserable. However, it was encompassed by a boundary wall which was broken from the front and the back side. As I entered the mosque area, I saw some goats and a dusty, wooden, two-floor architecture. It was quite evident that this mosque was not in use and may never be used in the future either. Like most of the housing architectures in the region, the mosque has wooden structure with beautiful wood work on it that should be preserved for our future generations. 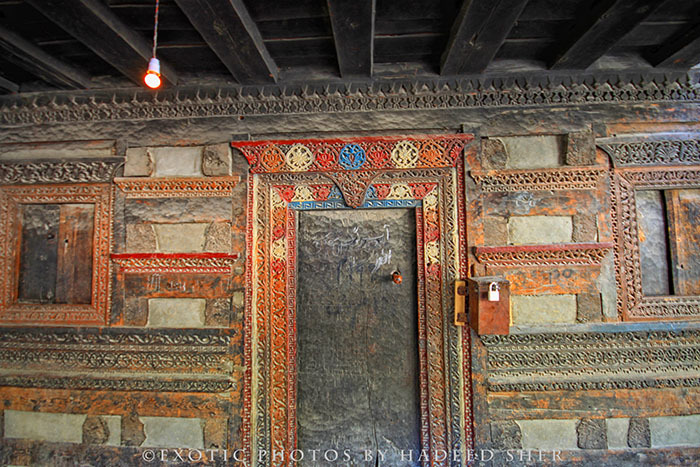 The second mosque is in Khaplu Valley, and it is believed to be the oldest in the subcontinent. It is called as Chaqchan Mosque.The mosque is a splendor in all its beauty. The interior has a lot of prayer rugs (known as jaa-e-namaz) and men and women come and pray here in the mosque. It has a central hall with four pillars for ceiling support and a terrace that was under construction during my visit. The main hall of the mosque also has a balcony that provides additional space for the people during Friday sermons. The pleasant thing besides the well-maintained mosque is that the maintenance work follows the traditional design of the mosque. 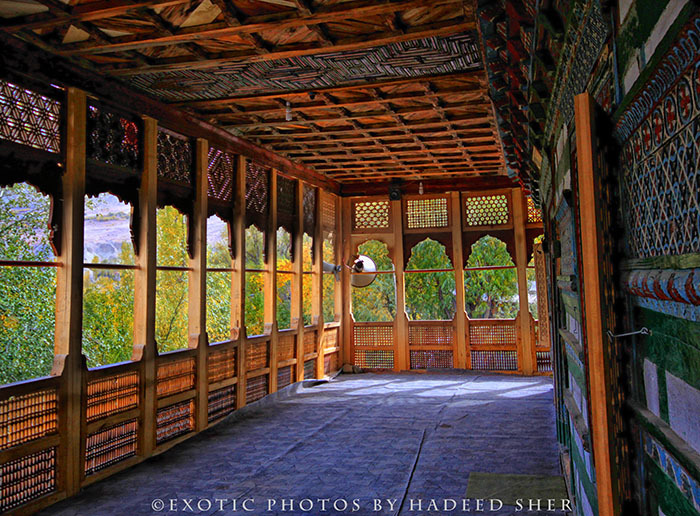 I wish the mosque in Shigar Valley could be maintained just like the one in Khaplu. Ho Mann Jahaan – Verdict: I hate you! excellent content! both written and visuals.